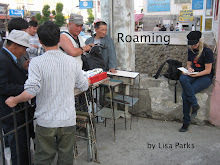 On June 26 my walking wireless workers installation opened at the Intersections 3 exhibiton in Ulaanbaatar, Mongolia. The project involved four white phone workers situated at four points in a circle facing outward ready to place calls. To activate the installation I called each of the phones from Berlin, highlighting the integration of the white phones within the global wireless infrastructure and economy. Then I called my translator, Zaya, who was located on site at the installation. He projected my voice on a speakerphone and translated my project introduction into Mongolian before a live audience. I paid each of the white phone operators for 2 hours worth of calls (12,000 tgs) and invited visitors of the installation to use the phones for free and help spread information about the arts and Intersections 3 into the wireless bandwidth. Visitors also had access to a handout about my research project and a web interface where they could view photographs of white phone workers that I shot while conducting research in Ulaanbaatar in 2004 and 2007. They also had the opportunity to ask the white phone operators questions about their work and lives. Zaya and Ochir, curator of Intersections 3, indicated there was great interest in the installation, particularly among the Mongolians who see these white phone workers each day, but rarely stop to think about their work, lives, use of technology, and participation in the economy. Photos and more info will be posted soon, I hope! On June 26-28th, my White Phone Workers installation will appear as part of the Intersections 3 international art exhibition in Ulaanbaatar. Thanks to Zaya and Ochir for helping to make this happen. 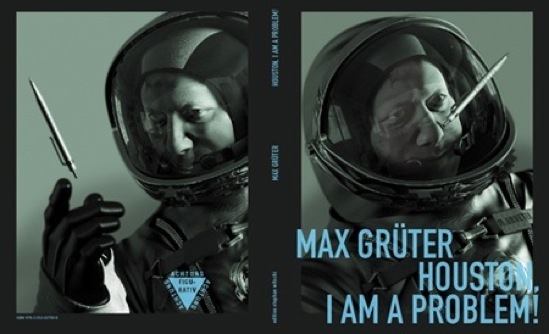 On July 2, I will give a lecture at Humboldt University in Berlin. I have arrived back in Berlin and my trip to Mongolia was more productive than I ever imagined it could be. I am now preparing for my Einstein Forum lecture in Potsdam on Wednesday, June 20th at 7pm. I will talk about my Mixed Signals book project and focus on my research on Mongolian white phone workers. Just before I left Ulaanbaatar, I met with an artist and curator, Ochir, who invited me to participate from afar in an international art exhibition later this month in Ulaanbaatar called Intersections 3. We had met and discussed this research a few years ago and he told me he really wanted to include this installation in his upcoming show. So now I am scrambling and coordinating with people in Ulaanbaatar to do an installation piece on June 26th about the white phone workers and I am providing a draft description of the installation concept below. 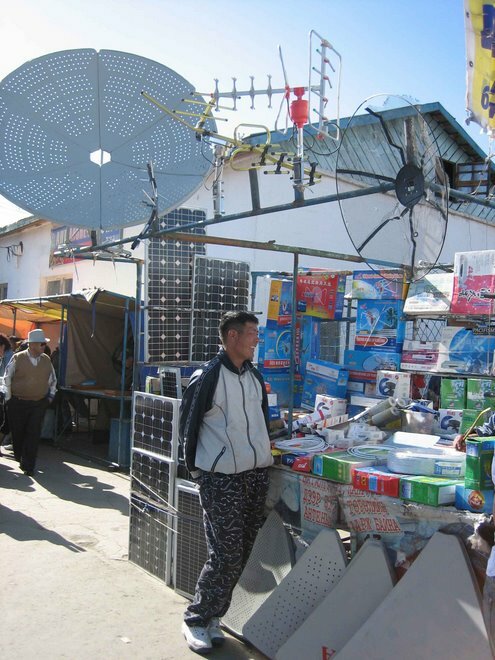 As wireless telephony industry boomed around the world throughout the late 1990s and early 2000s an innovative practice of public wireless telephony emerged in Ulaaanbaatar. In 2001 Mobicom and Mongol Telecom began selling CDMA wireless phones to families who were out of range of landline service. Some of these customers began developing their own business enterprises by selling time on their phones to other citizens and charging 100 tg per minute, twice as much as their own per minute fee. 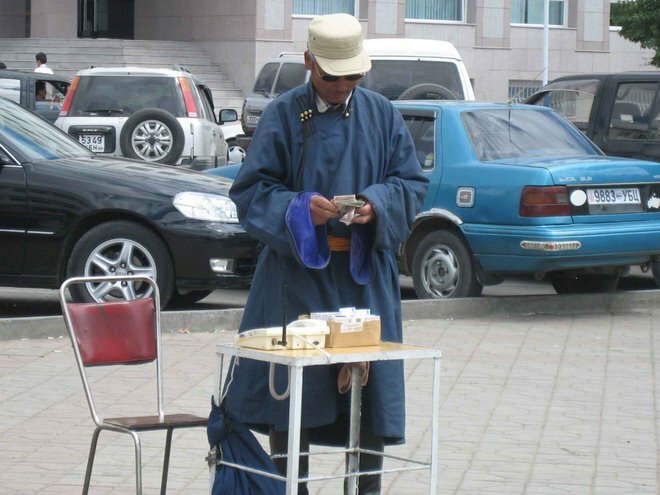 Now there are 15,000-17,000 white phone workers on the streets of Ulaanbaatar selling wireless phone calls to passersby. They work day and night, summer and winter and some earn supplemental income by selling cigarettes, gum and coffee as well. The “White Phone Workers” installation is designed to draw attention to this new labor force within the telecom sector. 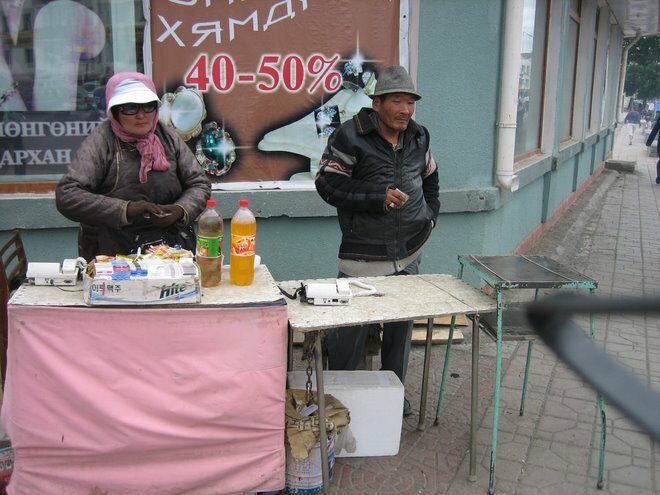 Many of these workers migrated to Ulaanbaatar after the economic collapse of the 1990s and have used this as transitional work as their careers and livelihoods have shifted with the change from a communist to a capitalist economic system. The installation is comprised of four white phone workers, situated in a circle, all of whom have unique life stories. Visitors are invited to place phone calls and ask the workers questions about their jobs and lives. Visitors can also view some of Parks’ photographs online at www.flickr.com/photos/cosmowink/sets/72157600378397472/. The installation is designed to encourage visitors to consider the transitional and flexible labor practices that have emerged with the development of new telecom and information technologies in Mongolia. Some white phone workers were previously employed as herders in the countryside, tractor operators, construction workers, teachers, or café owners, among other careers. 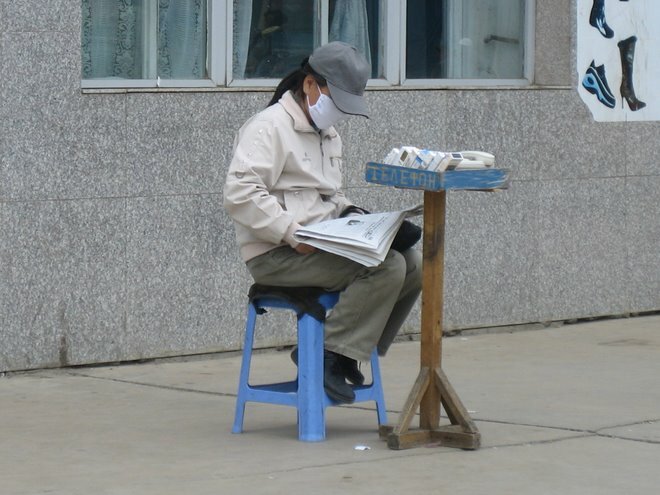 Now they work an average of 8-10 hours a day sitting on the street, often wearing surgical masks to protect themselves from pollution and communicable diseases, and their income is based upon fluctuating traffic flows and demand for wireless phone access. 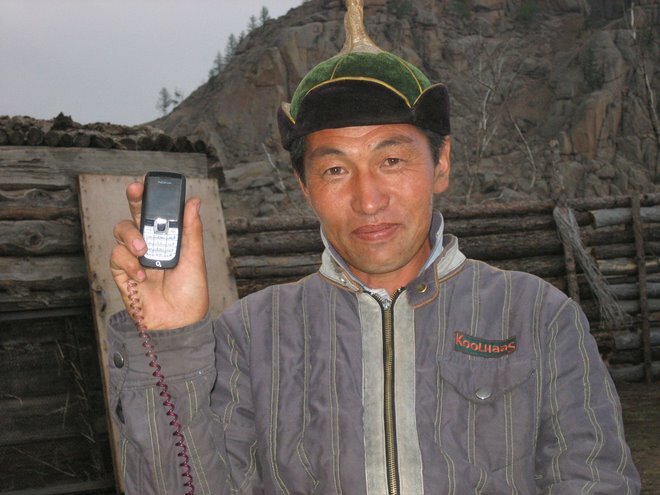 As more and more Mongolians are able to purchase their own wireless phones, it is possible that white phone work may disappear, and many of these workers will be displaced yet again. This installation is based upon research conducted in Ulaanbaatar in 2004 and 2007, and is related to a book in progress entitled Mixed Signals: Media Technologies and Cultural Geographies being written while Parks is a research fellow at the Wissenschaftskolleg (Institute for Advanced Study) of Berlin in 2006/2007. Today I visited a ger settlement to explore how people live in these areas and how television and mobile telephony are integrated within everyday life. I will save this discussion for my book. Here I want to tell a bit about the people I met. One of my friend’s arranged for me to meet with two grandmothers who live in two separate gers on the same lot in a settlement about 15 km out of the center of UB. They are both in their 70s and are vibrant and strong. One of them had nine children, and the other had five. They are originally from the Hovd region in Western Mongolia and one moved to UB 4 years ago and the other moved here last year. I first visited the ger of the grandma who had nine children and she presented me with a table of food and fresh hot milk, which she was heating on the stove in her ger. She was quite a character and was bustling around the ger trying to prepare things for me and her sister who was also visiting that afternoon. I ate fresh hot bread that she prepared on her small stove –everything was delicious! After a while I was invited into the ger of the second grandmother, who also presented me with a table full of food, and this time I had hot dumplings as well, cooked on the stove inside her ger. They were delicious! Her granddaughters and a great granddaughter were also there and I enjoyed meeting all of them. In each of the gers, the grandmothers put on their formal national dresses and we took photos. I will put them on my flickr website soon. 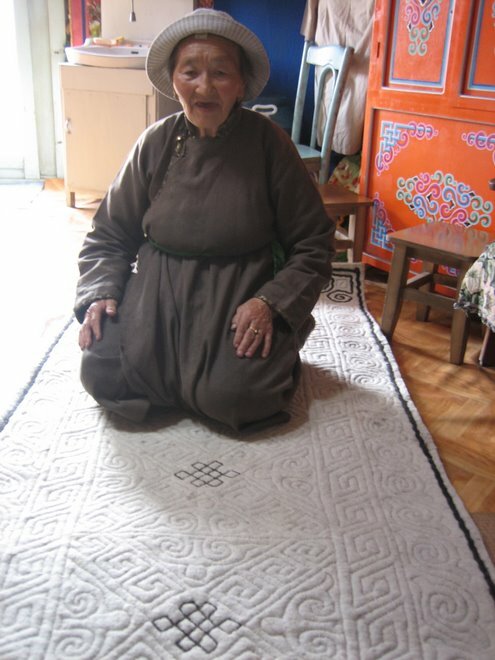 When I went back into the ger of the first grandmother, she presented me with a large wool rug that she hand-made out of sheep’s wool, camel hair and yak hair. It took her 25 days to make and it is absolutely beautiful. I was so honored and asked her many questions about how she made it. She also proudly showed me the small needle that she made it with. I was almost in tears by the end of my visit because both of the grandmothers were so warm and generous, They reminded me of my own grandmothers who passed away in recent years, and whom I miss very much! Maybe they were watching this scene and winking from above! Before I left, I gave my silver Mexican bracelet to the grandma who made the rug. She had noticed it on my wrist and commented on it when I first arrived. She had a similar one on her wrist made of Mongolian silver that she hasn’t taken off for 20 years. One of the reasons I am here is to do further research about the public wireless phone workers. They are situated all over the city in Ulaanbaatar, and I have been taking photos and conducting interviews with them to learn more about this new part of the telecom sector. There are about 17,000 of these workers around the city and they are young and old, dressed in traditional deels or in modern urban clothing. In addition to selling time on their phone (100 tg per minute, about $.10USD per minute, they sell cigarettes, wrigley gum, packets of instant coffee and candies. Yesterday I stayed in an open shopping mall area where many of them are working for quite a while to get a sense of the volume of their customers, the amount of time they stay in one place, the way they spend their time, and so on. I also watched a very drunk man harassing several of the female phone workers because he wanted a cigarette for free. He was very insistent to the point where he became physical and one of the women finally managed to chase him away. I also had a very interesting interview yesterday with the CEO of a new startup company called Uluusnet, which is a wireless internet provider in UB. Mongolia is one of the first 50 countries in the world to launch wimax services. Their office is in the top floor of a brand new skyscraper that also houses a new airline called EZ Nis. The views of the city from the Uluusnet office were incredible! I will eventually post some of them on my flickr website. Wimax service is now available for about $40USD per month, which is only affordable to a select few in UB. One of the primary shareholders of this new company is Mobicom, the largest wireless operator in Mongolia, whose majority owner is a Japanese company. And the CEO is a fascinating man who used to work for Skytel, the other major wireless operator. 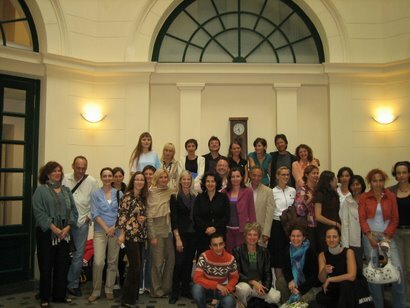 He has lived and worked in Turkey and Italy and speaks Turkish, Russian, English and Mongolian. He is also a very imaginative and strategic thinker and is extremely proud to be running this new company in Mongolia. He told me his dream is to provide wireless access throughout the country (even throughout the most remote parts of the countryside). The name Uluus, in fact, means country or nation in Mongolian language. Last night I was invited to dinner by my friend Naran's mother. She took me to a restaurant called the History Club, and the architectural design was part ger and part modern building. It was a very nice restaurant and the center piece was a karaoke area with flashing lights beaming onto the floor. At one point four young musicians came out of a back room and began playing traditional mongolian instruments. They were fantastic! Apparently they usually play all night but had to leave early for a CD recording session. I am spending some time in Internet cafes and they are usually nearly full and buzzing with activity. The kinds of uses range from young men playing computer games (with great enthusiasm I might add) and young women using Skype and instant chat applications to communicate with people outside of Mongolia. Some older men and women come in to check their email and others are downloading music files. I have also seen young people working on their resumes and sending email. The point is that Internet cafes are used very actively in this city and they appear almost on every block in the main area of the city. This is occuring at the same time that Wimax (wireless internet access) is on the cusp of being developed here. I have an interview with a representative of a wireless web provider this afternoon, called Ulusnet. It will be interesting to see how the location-based commerce develops here since Mongolians do not use residential and businesses addresses in the same way as in Western countries nor do they have a grid system to their urban design. This past weekend I tried to do some cultural activities and take a break from research. Yesterday I went to the largest Buddhist temple in Ulaanbaatar (one of the only ones that was not destroyed by the Soviets during the 1930s) and saw a golden Buddha statue that was 5 stories tall. It is one of the largest interior statues of Buddha in the world. We also visited a temple in honor of the Yadam god and saw beautiful ornamental sweets that the monks make from flour, sugar, water and dyes to feed the gods. I went to a nearby shop and bought some incense that many people here burn, which is made out of a kind of pine grown in Mongolia. It is supposed to chase evil spirits away and was even being burned throughout the office building of Telecom Mongolia that I visited the other day. After that we went to Terelej area to visit Zaya's uncle, Ponjee, who used to run a communist operated ger camp. This camp was recently sold to another company and now Ponjee has his animals in the same area and is trying to develop his own tourist ger camp within the next year. He has 60 horses, 100 cattle and lots and lots of sheep as well. I saw a foal that was one day old! We rode some of his horses up into the valley for a few hours and the scenery was so beautiful--tall forested peaks, huge rock formations, and vast open steppes! The horses are called "honghor half moon" because they have white half-moon shapes on their faces. My horse galloped so fast I felt like I was flying! After riding, we sat in the ger and had some alcohol made from horse's milk and fry bread. We also had some milk tea and talked to the family for a while. Ponjee and I laughed when realizing we had the same Nokia cell phone. He held his up for a photo. He told me that in the summer he eats no meet and only has 3 cups of horse milk in the morning and before he goes to bed. He took me in the ger to show me an enormous sak made out of cow hide that is used to store the horse milk, which they refer to as "white food." Just before sunset we dashed across the rough road to see an ENORMOUS Chinggis Khan monument being built in the middle of an open steppe about 80 km outside of UB, which will become a big tourist destination in the coming year. The plan is to build a 100 gers around the statue. There are alread ger camps sprouting up in the distance around this area, some with international investors. Yesterday I visited the HonHor re-transmission station, which is connected to the history of radio broadcasting in Mongolia, which began in 1934. The station is marked by a field of transmission towers about 20 km east of Ulaanbaatar. I met with the director of the facility who gave me a tour and showed me several generations of equipment, the first of which was manufactured in the Soviet Union. The facility is next to a ger village, and further out there are herders working, moving goats and sheep across the landscape. It is interesting to see the juxaposition of a radio and television transmission facility plopped down in an area in which herders still work. I met a young boy who rode up on a horse to meet us. I gave him a granola bar and he smiled and told me his name and his horse's name. He was wearing a pink pokemon shirt and pink pants -- he told Zaya that was his favorite color. We also went to meet with the marketing director and founders of the wireless network Skytel. The service center was packed with people subscribing to new services, paying their bills or buying new phones. They have 200,000 subscribers and use CDMA technology. They are the third largest wireless provider in the country. The company has ad campaigns in the last year called "NICE" and "COOL" and they are minimalist in that they feature a nice or cool looking person next to the company's brand name and new orange bubble logo. Yesterday we also visited a new Buddhist monument that was established a few years ago at the base of the valley where Zaya lives. It sits below a monument to Soviets, which was installed on a hill overlooking the sitting in honor of their military interventions during WWII when the Japanese occupied and tried to take over certain parts of Mongolia. There is a constant flow of people visiting both of these monuments. After a very busy work of meetings and work, Fri night I ended up going up into the mountains with some new friends. We ate dinner at an old Soviet style hotel that was sort of falling apart, but had delicious mongolian food. We sat outside on a table in a forest area and the wind picked up like crazy so we decided to go into the hotel basement and play ping pong and pool late into the night. I played ping pong with a Christian Mongolian woman who is expecting twins in December. She was an excellent player! It was an interesting group of people -- there was also a sculptor, a manager from the ministry of labor, a cargo container operator, a banker, a toyota dealer, a guy who owns a driving school, and a teacher. They are all friends from school and invited me to join them. We had a blast together--though I was not able to keep up with their pace of vodka-drinking. We drove home on a dirt road, taking the back way and a half moon was peaking above the mountain and it was soooo beautiful! NARAN Satellite Station and Malchin! I just came from a visit to the old Interspunik satellite station (called NARAN, which means Sun in Mongolian) on the outskirts of Ulaanbaatar and met with the manager of the station, Erdenejugder, who has worked there for more than 30 years. 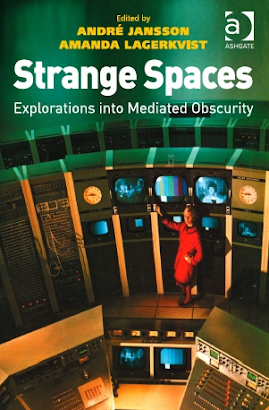 I have to say it was probably one of the highlights of my research career. 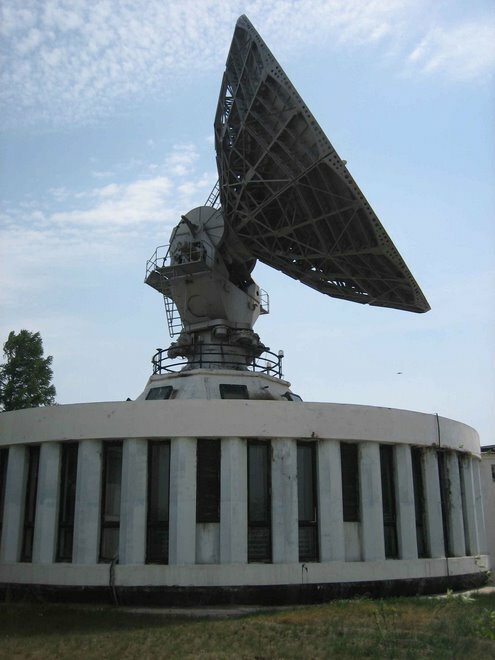 We toured the old circular satellite station, designed by a Soviet architect who wanted to integrate the shape of the Mongolian ger within the space-age building, and we saw several generations of equipment manufactured by the Soviets and the Japanese. I interviewed the manager and the senior engineer and had a tour of the entire facility, including a small somewhat private archive that the manager has helped assemble. He flipped through a scrapbook of old photos going back from 1969 to the present -- from the groundbreaking ceremony to the recent upgrading with digital equipment. I took lots of photos and will likely put them on my flickr site soon. The manager had me sign the dignitary's guest book which he has kept for over 30 years, which was truly an honor. Yesterday I had meetings with the senior engineer of Mongolian Telecom, the marketing director of Mobicom (the main wireless service provider) and a script editor and translator who works for the social and educational programming division of Mongolian national public television. We also visited a company called Malchin that sells satellite dishes, receivers and solar and wind power equipment to Mongolians who live in remote areas. 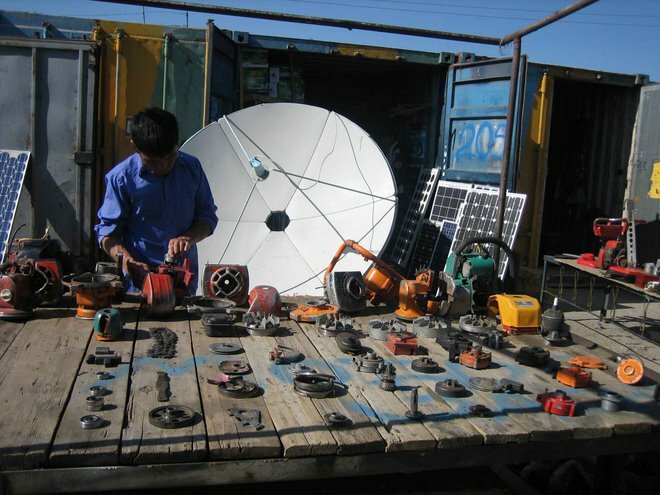 The dish equipment is bought wholesale in China and then brought to Mongolia. 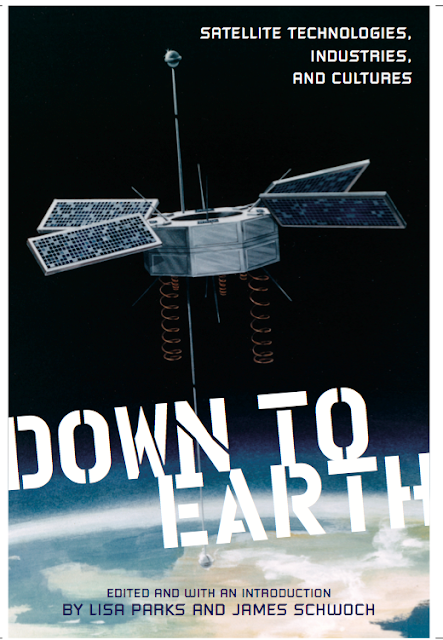 The meaning of "malchin" is nearly equivalent to the word cowboy -- this equipment is installed by those "malchins" who live beyond over the air transmission facilities and they learn to install it on their own. 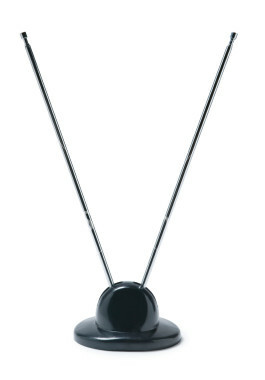 They have been doing this since the early 1990s, and now they receive a package of 4 channels, distributed for free by the Mongolian Telecom Authority from the NARAN station, the Mongolian national channel, as well as 3 other commercial channels based in UB, Ch9, TV5, and Ch25. 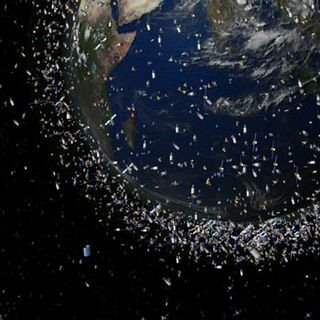 If they move the dish, they can receive Russian and Chinese signals as well. As you might be able to gather, this week has been very busy and my hands are tired from taking so many notes and trying to process so much information so quickly! During dinner last night, I learned a lot about Mongolian wrestling and have to admit I am very curious to see a match or two, especially after hearing about their rigorous training rituals out in the countryside. Groups of men go off and train for 20 days before the Nadam festival (July 11-13) and try to build strength. It is a private ritual and women are not allowed to see this, according to my friend, Zaya. 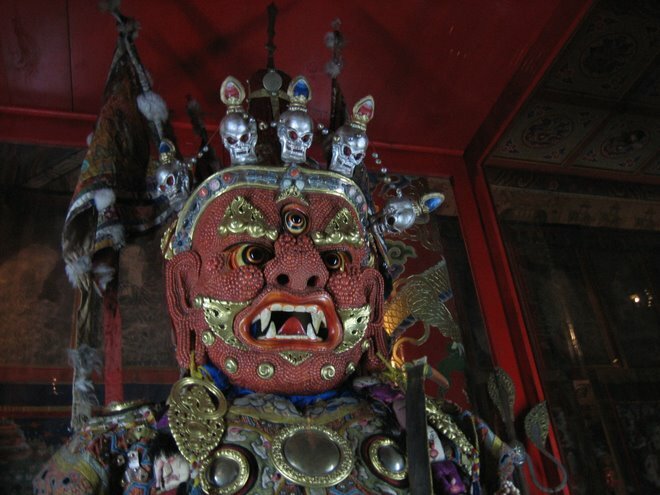 Later today I am scheduled to visit the set of a Mongolian film being produced in Ulaanbaatar. Today it is very hot (and it was yesterday too--in the 90s) and there are fires outside of the city and the air is very smoking and dirty today. It is almost hard to breath (kind of like in Missoula during forest fire season). I hope to get a little rest on the weekend and am going to a Mongolian rock concert on Saturday night. Life is exciting as ever here in Ulaanbaatar. Yesterday I visited the Mongolian National Public Television headquarters and met with the most famous producer in the country as well as the network’s senior engineer. The security was much tighter than at the other stations I have visited – it appears that some communist bureaucracy still persists. The security guard who let us in had at least seven gold medals dangling from his uniform, and one of them was for serving in the war in Bosnia. After going through a series of clearances, we were allowed to schedule a meeting and enter the building. It turns out that a new television law was passed in Mongolia in 2005 that mandated the national broadcaster to operate in the public interest and the officer of foreign relations gave me a copy of this new law in English, which is very helpful. With the producer and engineer we discussed the history of television in Mongolia and the technical arrangement of the network across the country. I also learned that the Mongolian telecom authority is responsible for the distribution of the signal and will meet with them later in the week and also visit the Orbit satellite ground station if we can get clearance. One interesting thing I learned is that electronic and metal salvaging is such a business here that some people have cut off parts of national telecom lines just to get the copper and other metals in the wire and salvage it, whether selling it here in or in China. This resulted in some cases in a loss of internet access for a few days. People have also removed the tops of the sewer holes just to sell the metal, and sometimes have gone down into the sewers to cut cables and salvage them. Apparently, this is often done by the same men who installed them days earlier. I had time to walk around the city yesterday and I took lots of photos of public wireless phone workers, some of whom were old people wearing traditional Mongolian deels, and others were young school children. Since this work requires little training, people from different demographics are able to perform the work. They charge 100 torigs per minute, which is about $.10 USD. I also photographed lots of photos of Internet cafes and mobile phone signage posted around the city. These new information industries have become very important here and many people are now working in this sector. These businesses have expanded a lot in the three years since my last visit. Zaya also arranged for me to visit a cashmere factory called Goyo yesterday, which was utterly fascinating. I met the senior quality control manager and she explained the entire production process to me and gave a tour in French, which I understood pretty well. We went from seeing raw cashmere tumbling into large bins to seeing women packaging sweaters. In between we saw the washing, pressing and steaming of the cashmere, dying of it into various colors, spinning of it onto spools, and even went into an area where hundreds of women were using machines to knit sweaters, scarves, shawls. I wasn’t allowed to take photos inside the factory. You’ll have to take my word for it when I say it was amazing. In the evening, Zaya had a soccer match so I went along and watched. They played on a dirt field in the center of the city. Right near by, some people turned a dirt patch into a tennis court so I watched them too for a while. They were very good! At the end of the day, I was exhausted since I was out doing work and other activities for about 12 hours. I arrived in UB two days ago. I had perhaps the most bizarre flight I have ever experienced. Not because of turbulence or any scare from the aircraft itself, but from 10 very very drunk Czech men who were on board the flight. One of them was right across the aisle for me and did not leave me alone for 5-6 hours. He was harassing the stewardesses, touching them and me, and then eventually passed out laying down the the middle of the aisle after looking through all the overhead compartments for his second bottle of Jack Daniels, which, thankfully, he never found. He smelled of about 10 days worth of whiskey and had the stench of cigarette smoke all over him too. The stewardesses just tried to ignore him and I had to tell him more than once to leave me alone. One of his drunk friends asked me to go on a date once we arrived in Mongolia, and I said, no thanks! It was a long flight, but thanks to my ipod I was able to tune them out. They were all going to Mongolia to build a dam...wonder how that project will turn out? Since I arrived in Mongolia everything has been great. My host, Zaya, is a 33 year old lawyer, and he and his girlfriend, Gigi, live in a big apartment on the outskirts of the city. I'm staying with them and they have been incredible hosts, making me homemade Mongolian food and helping to arrange meetings. On the first day, which was Sunday, we went to the black market, which is a huge exchange center and crossroads where all kinds of goods are sold--from saddles to high heels, from handmade snuff bottles to television sets, from sunglasses to gers. People from all over the country make a long trek here to buy supplies for their communities. I took lots of photos and will try to post some of them soon. Yesterday I met with directors of two television stations in UB -- Channel 1 and Eagle TV. I also toured their production studios and facilities and these meetings were fascinating. I also interviewed a Mobicom (mobile phone) dealer and visited major center of Mobicom where mobile phones, computers and electronic communication equipment are sold. This was also very interesting and I was able to interview men who repair cell phones and salvage parts from old phones that no longer work. So much happened yesterday I am still taking it all in and have been writing in my journal and taking photos nonstop. Today I have meetings with reps from mobile phone corporations and will interview some phone workers on the street. The city is bustling with activity and is a very exciting place to visit. I am so glad I am here and am already learning so much. The weather is hot and dry, like Montana in the summer. Better run... I have a meeting soon!